ForeverLawn, Inc., a synthetic grass firm based in Albuquerque, New Mexico, was invited to participate in the festival as a result of visitor interest when DuPont hosted ForeverLawn’s product in its 2007 exhibit. ForeverLawn is among 24 exclusive vendors this year. “People ask us all the time if the grass is real, ” said Jim Davis, product portfolio manager, DuPont Landscape Systems. 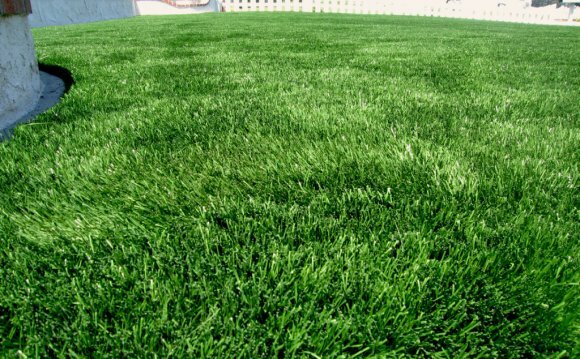 According to Davis, visitors at the display bend down to touch the grass to make sure it is, in fact, artificial. “They don’t believe us when we tell them it’s artificial, ” he said. “This product is a wonderful complement to the DuPont display, because ForeverLawn really does help create a great outdoor living space.” The DuPont exhibit, “The Keys to Outdoor Living, ” showcases the newest ForeverLawn product, Select VR. ForeverLawn Select VR is the ultimate in artificial grass, giving a true-to-life look and feel that is unsurpassed in the industry. The tall, dense blades emulate the finest manicured natural lawn, and the tan “dead grass” thatch adds a dose of realism that can fool the closest inspector. While visitors tour the exhibit, they will receive valuable tips about how to transform their yards into fun environments where family and friends can gather.